We believe that you can always do what you do better. We run workshops and short courses on business disruption, innovation, sustainability, and brand purpose. One of our mantras is “you never stop learning”. So I run workshops and short courses. I don’t mean three-day CPD approved extravaganzas that come with wine and whining. I mean short, sharp, interventions that change the pace and direction of what you are doing. We do this in London, the Midlands and soon New York and San Fransisco. We deliver workshops on the circular economy for The Great Recovery, for Zero Waste Scotland, for P&G, for the NHS, for Samsung and for CIWM. We run brand purpose workshops for loads of companies including Nike and Fenwick. We can teach you how to present with passion and purpose, how to develop a more creative mindset, how to build disruptive ideas fast, how to redesign your business. 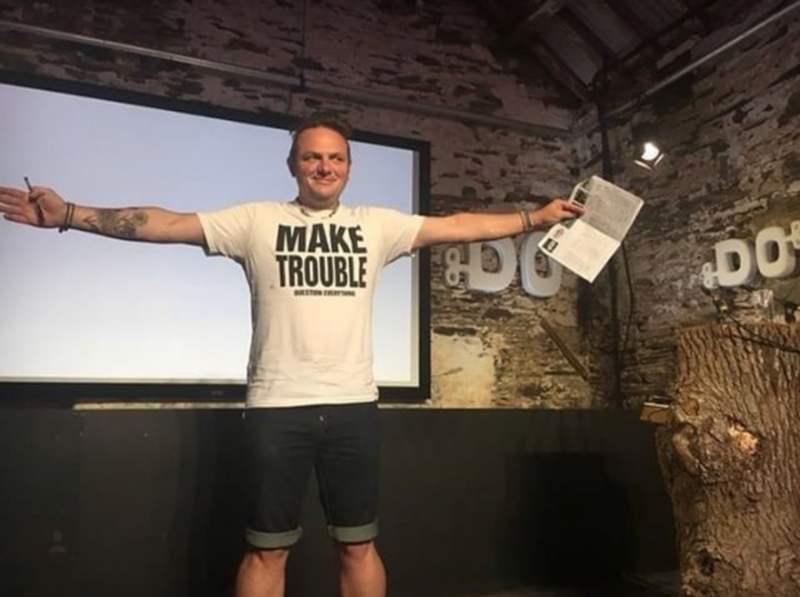 I also run personal development and change courses with my buddy Barry such as my How to be more you course and our Once we were kids creativity course. We do them in-house or for wider groups. Our workshops are short, sharp and pointy. Adrenaline filled and inspiration fuelled. They disrupt what you are doing and get you pointing in the right direction. Have a look at our Eventbrite page or give us a call to see what we have lined up.